A THIRD-generation Kenyan, Kiran Jethwaa��s mixed heritagea��English from his mother and Indian from his fathera�� reflects in his style of cooking. The chef and owner of Nairobia��s premier seafood restaurant, Seven Seafood & Grill, he was a finalist for The Taste Awarda��s a�?Chef of the Yeara�?. 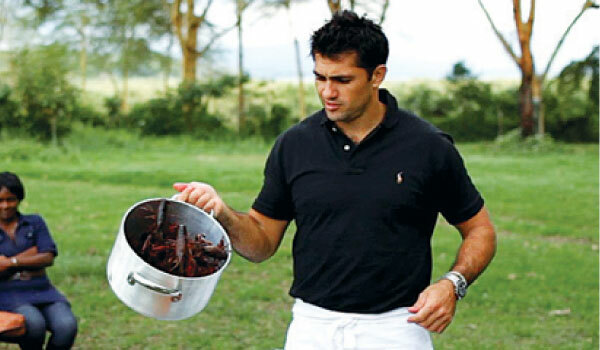 As Kenyaa��s first celebrity chef, thanks to his show Tales From The Bush Larder, the international rugby player says his three-series show takes you into the interiors of Africa. a�?Me and my business partner wanted to bring out a different yet positive thing from Africa. Otherwise it is always disease, poverty and negativity. The idea is to show the brighter side of African food,a�? he says.